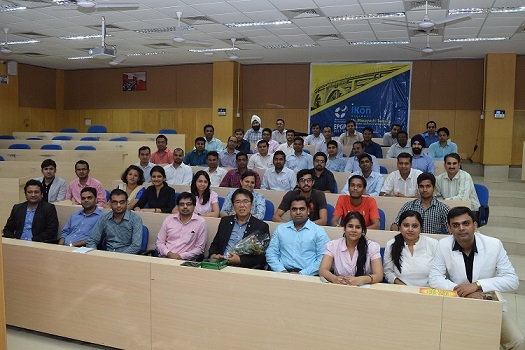 Under the Executive Post Graduate Programme in Management (EPGP) iKON CxO Guest Lecture Series, a talk was held on ‘Cultural Integration’ on June 10, 2017. 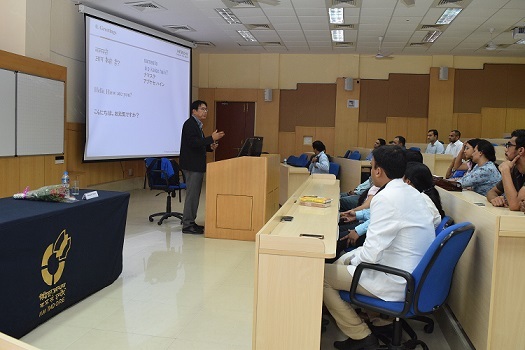 Mr. Masayoshi Tamura, GM, Digital Solutions and Services Group, Hitachi—India was the speaker for the talk. 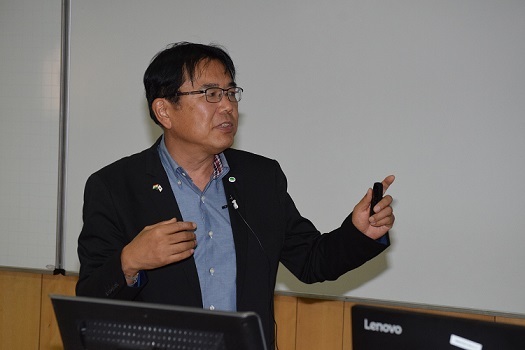 Mr. Tamura, who has been residing in India for over five years now, spoke at length about inter-cultural learnings and understanding that can help countries and businesses grow. Contrasting two completely different schools of thought prevalent in Indian & Japan, Mr. Tamura said that the two cultures complement each other in many ways and this integration is worth implementing in today’s business models. ‘The easiest way of innovation is to combine two things and combining Indian energy with Japan’s efficiency will bear impressive results for all’, he said. He also highlighted the well-known Japanese expertise in areas like quality and accuracy that India can imbibe as part of its inter-cultural amalgamation. ‘Implementing good practices from each other will make us global players. Simply taking strengths from each country isn’t sufficient, emphasis should also be on learning from each other’s mistakes’, he noted. Mr. Tamura while appreciating the ‘jugaad’ Indians are so efficient at, stressed that Indians should be proud of their ability to turn around situations in such short time. The talk was followed by a Q&A session.